- Outdoor: -50 +70 (-58 +158) If the meter have an outdoor Temperature Sensor. 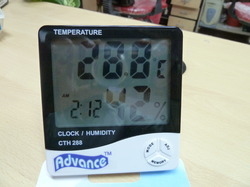 - Humidity Range: indoor 20% ~ 99% RHWhen the humidity < 20%RH, display 10%RH directly. 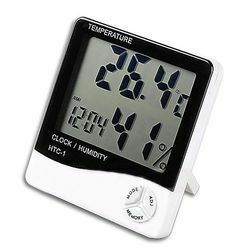 We at S.S.SON CONTROLS ( Mumbai ) are leading suppliers of Humidity Meters in India . We are actively engaged in offering a qualitative range of Digital Humidity Temperature Meter for catering the diversified requirements of our clients.